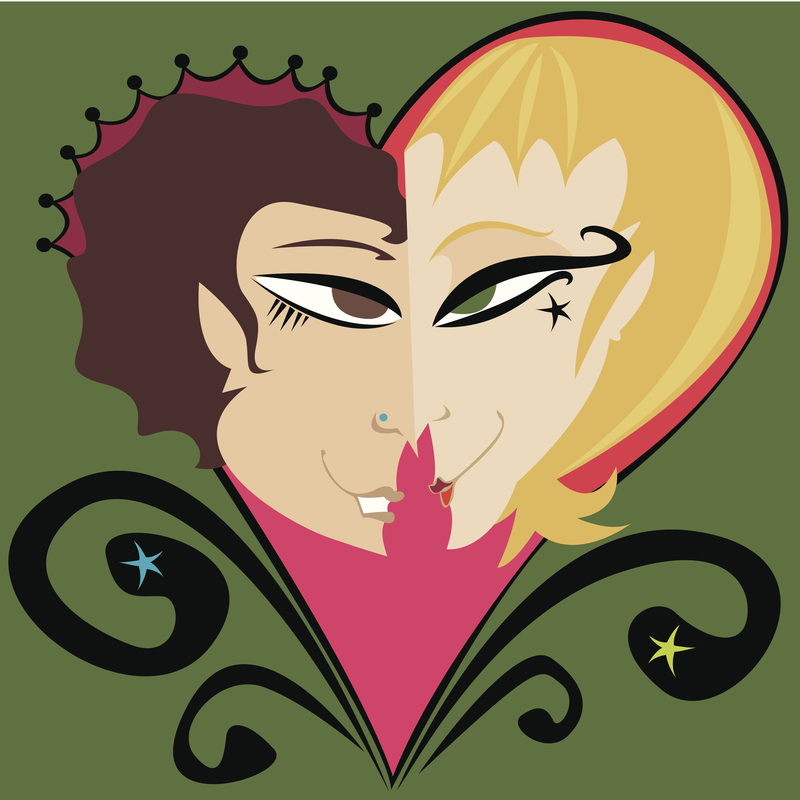 Home » Celebrate Lesbian Love! Let’s talk about celebrating romantic love. Specifically, celebrating what psychologist Dorothy Tennov named “limerence.” This is a state of falling in love, characterized by obsessive thoughts, intense longing, and delirious bliss when thinking of the beloved. New lovers lean into each other, pay passionate attention, adore each other, feel their hearts bursting, and their spirits skipping over clouds. Valentine’s Day gives them a reason to indulge in hearts, flowers, and love songs. The reservoir of love and lust is bursting. Unfortunately, at any one time a small percentage of the population is actually in a state of limerence. The rest of us are single, married, or involved in not-new relationships. So Valentine’s can either be an invitation to try to dredge up or mourn old lost feelings, or an opportunity to celebrate something different, like a new perspective of love. Researcher Barbara Fredrickson tells us, in Love 2.0, how to upgrade our definition of love. She talks about positivity resonance, when people share positive brain and body experiences in sync with another person…both soaking in a awesome sunset…feeling the thrill and the chills in sync with each other…the same parts of the brain lighting up…oxytocin bonding. These are loving moments, like a string of pearls that grow longer and more beautiful as we carefully collect them. According to Frederickson (and to common sense), we can’t stay in blissful bonding all the time–but we can intentionally cultivate our abilities to have loving moments. The implications are outstanding. Instead of focusing on which individual you think may bring the magic connection, you can focus on your own heart, and how you nurture your own capacities to love. You can choose to direct loving feelings toward all kinds of people–your friends, relatives, co-workers, clients, bosses, acquaintances. Doing this leads to more of those loving moments that expand your heart and generate more loving energy in your life. It’s also an important shift from external to internal, building your internal capacity to love even when external sources aren’t apparent. So as a loving gift to yourself, spend some time remembering loving moments in your life. Moments when you felt that a resonance between yourself and another, as you both shared a moment you both knew was wonderful for both of you. Who were you with? What were you doing? When was that? Why not more recently? Who could you try this with again? To state the obvious, sexual experiences may be the first to come to mind. Talk about feeling a positive brain and body experience, in sync with someone else, with oxytocin flowing! If this is part of your current life, please do honor and celebrate this with your lover. Both of you are doing something that generates a loving physical connection, and for that you should congratulate yourselves. But if this isn’t happening currently, please honor and celebrate any past experiences you’ve had, and your desire for more. And don’t blow off non-sexual opportunities to expand your heart. Being warmhearted is good for you, in romance and friendship and family, and every other social connection that we have. It adds joy to your life, and depth to your emotional reservoir. And, it increases the odds you’ll have more of all kinds of love in your life. Every day there is an opportunity to remember how good it feels to share loving moments with someone, and to be intentional about creating more of these, with many others.